A laparotomy involves opening the abdominal cavity, typically through a midline approach, to allow for greater access to the abdomen, also allowing for assessment of each organ in turn, including inspecting the entire length of the bowel, palpating the liver and spleen, inspecting the gallbladder, and in the female assessing the uterus and ovaries. Haemorrhage Particularly in the case of abdominal trauma, where the use of a cell-saver may be required, as well as a potential blood transfusion. Re-operation / intervention This occurs in 5-10% of emergency laparotomies, commonly due to anastomotic leaks, collections, or wound dehiscence. 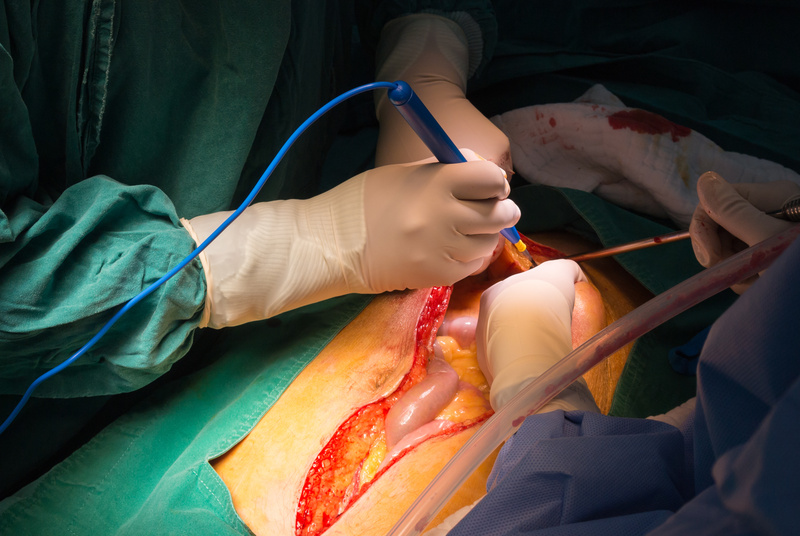 Hernia Any laparotomy incision has the potential to cause a hernia in the future. Avoid heavy life for 6 weeks post-surgery.